Harold "Hal" Balin departed on his final flight heading for the last roundup of his life. Hal passed peacefully of natural causes on his boat with wife Nancy and dog Julie, Monday Aug. 27, 2012 in Anacortes, Wash. Harold Edward (Hesser) Balin was born March 9, 1931 in Los Angles County, Calif., to Edward A Hesser and Ethel Belle Young. After the death of this father in 1934 at an early age, Hal and his mother moved from New Mexico to Klamath Falls. Ethel married Otto Balin, a prominent rancher. Hal was adopted by Otto and the family resided on the current Balin Ranch on Homedale Road. Hal attended Henley High School, graduating in 1949 as an accomplished athlete. He moved to Corvallis where he attended what was then Oregon State College, graduating in 1953 with a degree in Agriculture Engineering. Harold was a member of the Delta Upsilon Fraternity and the Air Force Reserve Officer's Training Corps. Upon graduation he was commissioned as a 2nd Lt. in the United States Air Force, stationed at Kirkland Air force Base, New Mexico. He completed his pilot training and flew at Eniwetok Atoll, in the Marshall Islands. After retiring from the Air force in 1957 Hal became a pilot for Northwest Airlines for 34 years retiring as Captain, flying many aircraft including DC-3s Boeing 707s, 747s and the DC-10. He retired from commercial flight in 1991, yet continued his love of flying up to his death in his favorite Beechcraft Bonanza. While in college, Hal met and married Joan Louise Paine (Staunton). They married in 1954 in Junction City, Ore. During their marriage they had 3 children, Deborah (Debbie), Kirk, and Scott Balin. On September 9, 1991 Hal married Nancy McManus from Sacramento, Calif.
Hal was preceded in death by his father Edward Hesser, mother Ethel Balin, and stepfather Otto Balin. Hal is survived by his wife Nancy Balin. Other survivors include: Daughter Debbie Heim (Balin) and husband Brian of Albany, Ore., son Kirk Balin, Seattle Wash., and son Scott Balin and wife Cindy, Klamath Falls, Ore. Grand children; Kara Buchheit (Heim), Kevin Heim, Janelle Hanni (Balin), Bethany Balin, Joanna Balin, Bryce Balin, Trent Balin and Elise Balin. Great grandchildren Faith, Tyler and Camden Buchheit, Reagan and Evelyn Heim. Hal loved to fly and though he flew many places around the world during his military and airline career his roots were always planted in the beauty of the Klamath Basin on the family ranch. 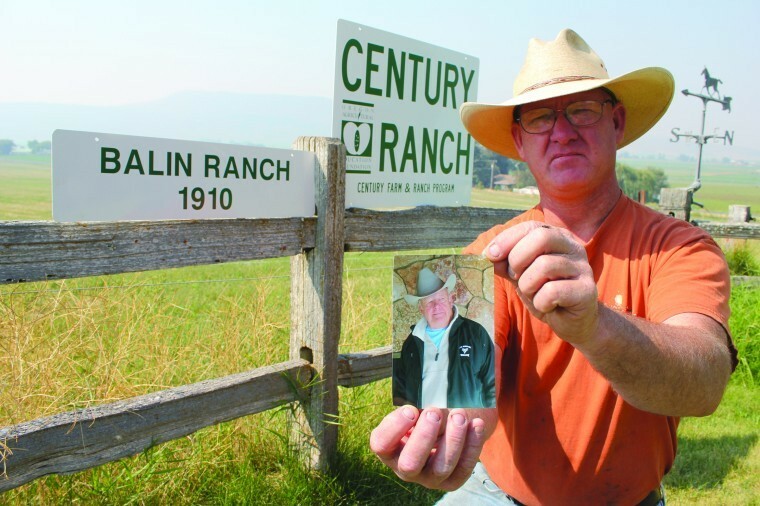 The Balin ranch was recently recognized as a Century Ranch and will be continued on by son Scott Balin. Hal will be missed by many who loved him and his spirited demeanor. Hal treasured his heritage of ranching and loved to listen to the old cowboy ballads of The Son's of the Pioneers. We know he would say: "So long ole pals its time your tears are dry, I'm heading for the last roundup." Viewing for family and friends will be Friday, Sept. 7, 2012 from 9 a.m. to 5 p.m. at O'Hair Funeral Chapel. Services will be Saturday, Sept. 8, 2012 at 11 a.m. at Peace Memorial Church, Klamath Falls Ore., followed by burial at Mt Laki. Cemetery with military honors and a "Missing Man" fly over. A celebration of his life will follow. Contributions in memory of Harold Balin may be made to the charity of one's choice . Word has been received of the passing of Air Force veteran and retired NWA pilot Captain Harold ‘Hal’ Edward Balin, age 81. Captain Balin flew 30 years for NWA. His other love was the Balin Ranch in Oregon. Hal’s family ranch is to be honored at the Oregon State Fair on Saturday, September 1, and will be named a Century Farm having been homesteaded by Otto Balin in 1910. Services for Captain Balin are pending. From: RNPA News Sent: Monday, August 27, 2012 1:02 PM Subject: Hal Balin Has Flown West. Scott Balin holds a photo of his father, Harold “Hal” Balin. The older Balin died suddenly Monday. The Balin Ranch will receive official recognition as a Century Farm at the Oregon State Fair on Saturday. Receiving that recognition was a dream of Hal Balin. Three generations of brands — Otto Balin (farthest left on the sign), Harold “Hal” Balin and Scott Balin — are on the Balin Ranch sign at the ranch headquarters south of Klamath Falls. Posted: Thursday, August 30, 2012 12:00 am | Updated: 12:03 pm, Thu Aug 30, 2012. Harold “Hal” Balin dreamed of the Balin Ranch being named a Century Farm. On Saturday, the Oregon State Fair will officially recognize three Klamath County farms and one Lake County farm, and Balin Ranch will be among them. But unfortunately, on Monday, Harold Balin’s family, including Harold’s sons Scott and Kirk, their sister Debbie Heimm and their mother, Joan Balin Staunton, received the worst news. Hal had died in his sleep, sitting on a chair on his boat in Washington state. Hal was looking forward to the ceremony and the chance to reunite the family in the name of the Balin Ranch, now operated by Scott Balin, the third-generation to run the ranch just south of Klamath Falls. Hal Balin grew up at the Klamath Falls homestead, graduating from Henley High School, studying agriculture at Oregon State University and serving as a pilot in the Air Force. He worked for Northwest Airlines for 30 years while running the farm after he took over for Otto Balin, who homesteaded in 1910. Even though he had retired from officially running the ranch, Scott said his father called frequently with advice and to check in on how things were going. Scott looked forward to the calls. Since Hal’s sudden death, Scott and the family have been working to arrange a funeral while also arranging for the Century Farm recognition. But Scott said it is worth it because making Balin Ranch a Century Farm meant so much to his father. Scott said his pride in the Balin Ranch stems not only from his family’s history, but from America’s history. Hal Balin maintained a military identity established during his service and passed patriotic pride on to his children. Scott said that pride stemmed to farming and ranching. Farming is as intrinsic to America as independence and freedom, Scott said. Going down with the ship, or keeping the ship sailing, is Scott Balin’s call. He wants to keep his grandfather Otto’s homestead dream alive. He wants to preserve the work his father Hal put into keeping it going. He wants to continue his work to adapt the ranch to the 21st century and beyond. 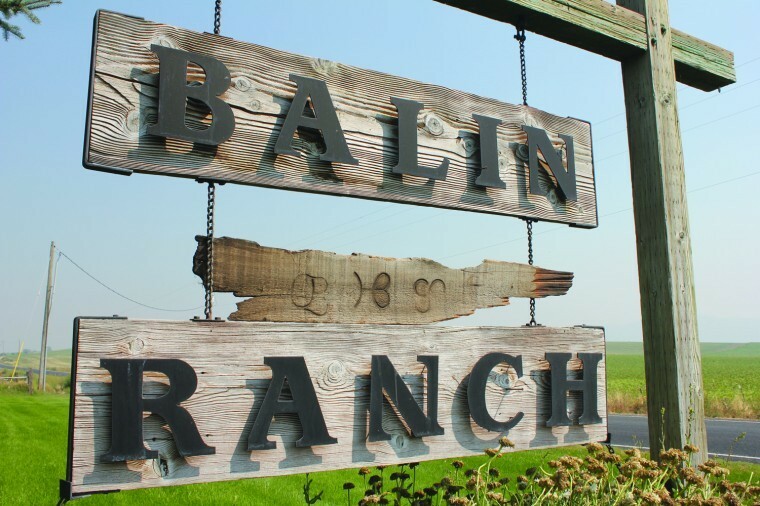 Balin Ranch’s primary product is organic beef. The ranch was officially certified organic starting in 2000, before the big craze over natural and organic food hit America, Scott said. The family did it then because Hal’s record keeping was so meticulous, it fit the qualifications anyway. Scott said keeping those records up is a challenge, but worth the organic rating. The Balins also sell organic alfalfa they don’t use to feed cattle. And they raise organic and conventional potatoes. Balin Ranch has taken other steps into the 21st century. One field is irrigated by a satellite-guided pivot. The ranch in Klamath Falls has a field with eight solar panels tracking the sun, providing about 100 kilowatts of energy to irrigation pumps. Standing amongst the giant solar panels, Scott agrees it’s unlikely his grandfather Otto could have imagined such a sight on his ranch.